Don't have a car? Don't want to pay for pricey parking? Out for a night on the town and had a few too many? Don't sweat it, Uber has you covered! 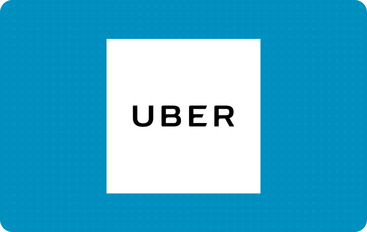 With its small army of drivers, Uber will get you where you need to go at any time of the day or night with just a few simple taps of your phone. Throw a discount gift card from GiftCard Mart into the mix and well, you may find yourself forgetting the feeling of a steering wheel as you fall in love with the convenience and safety that Uber has to offer. Uber gift cards can also be redeemed towards Uber Eats. Electronic Gift Cards can either be used online, printed and/or redeemed from your mobile device in-store. Verified Customer? Most eGift cards are processed instantly, but please allow up to 24 hours. Valid Electronic Gift Cards are not returnable/refundable. All gift cards sold are not returnable or refundable. Electronic Cards: Delivered instantly for Verified customers. Physical Cards: Shipped on the next business day via USPS. New around here? You will need to complete our First-Time Verification before we can process your order; instructions will be emailed to you after submitting your order. © 2019 GiftCard Mart - A JCBM Capital Venture. All Rights Reserved.